There are 2 types of data loss, the first is "physical" and the other is "logistic". 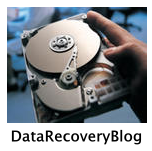 "Physical" data loss is usually caused by hardware, disk, or power failures, bad sectors or bad storage units. "Logistic" data loss includes virus attacks, accidental disk format and file delete, partition delete or modify and other user errors. Data is valuable. The best way to avoid data loss is "BACKUP".